Nearly twenty years after the debut of their multi-faceted production/management company, MBK Entertainment’s mission encompasses musical genres ranging from R&B to Rap and Pop, and includes marketing, publishing, TV, film and concert promotion divisions. 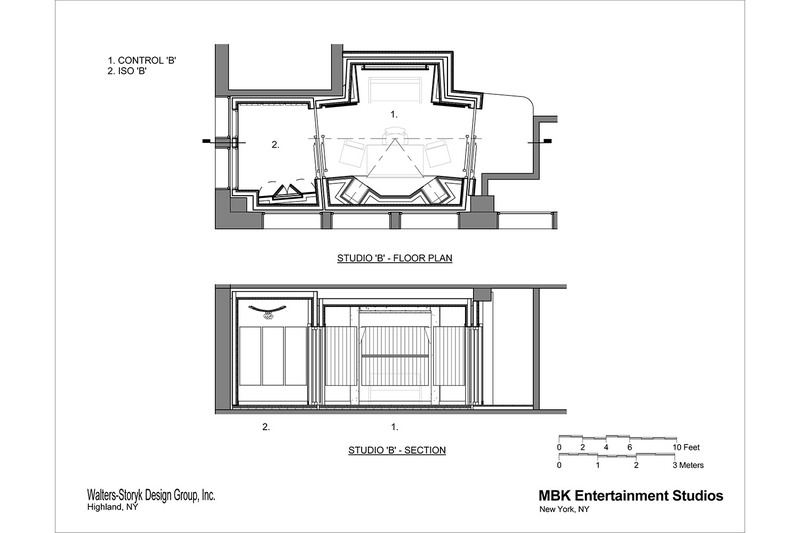 A recent move to expansive new mid-town Manhattan offices provided the MBK team with the space to create a much-needed recording studio, designed to benefit both existing clients and independent artists. Working with a sprawling 7800 sq. 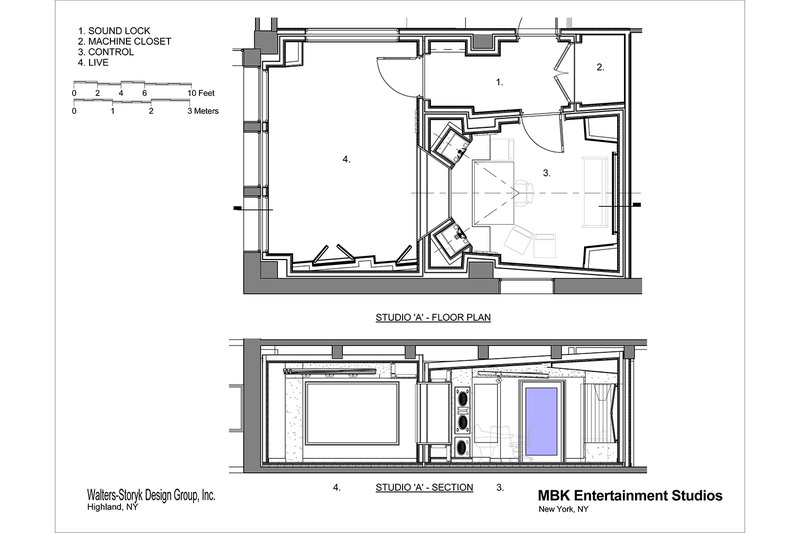 ft. space on a high floor with impressive views, WSDG’s design plan provided a line of sight from both control rooms through the live rooms all the way to the river and New Jersey. 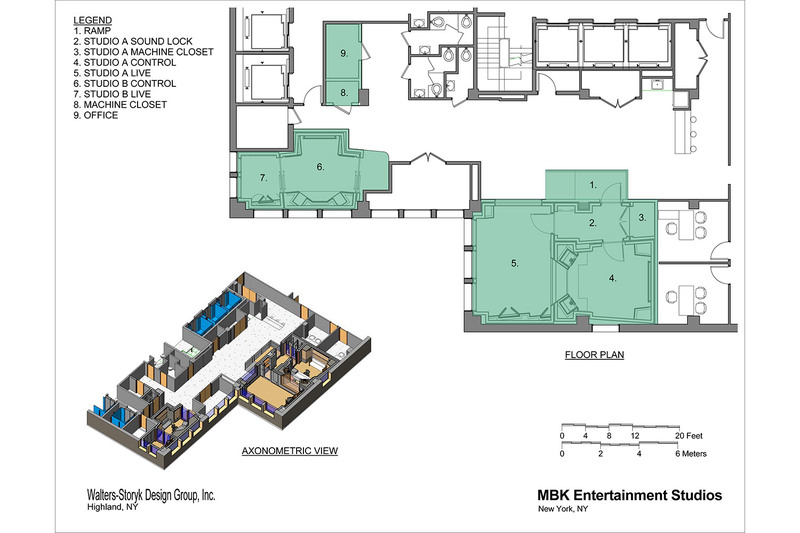 In addition to executive offices, two recording studios, machine closets and related technical areas, the plan incorporates a spacious lounge area and kitchen. Ultimately, every square inch of space was optimized. 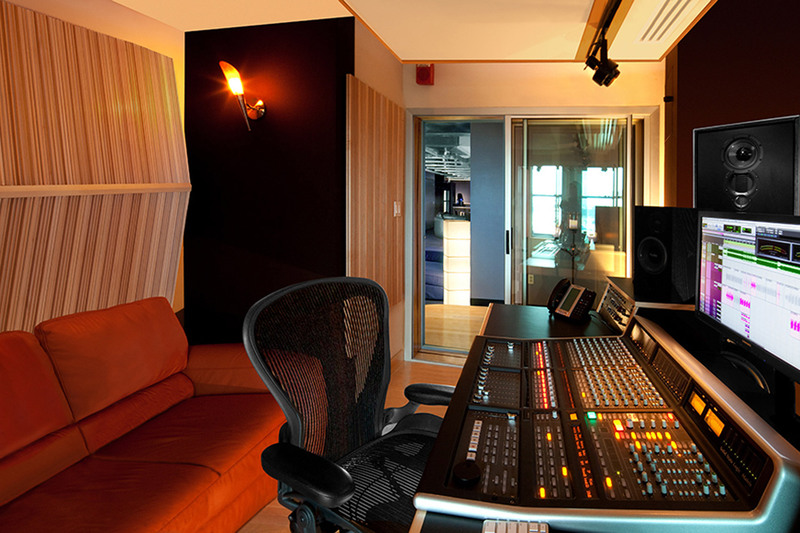 OZ Studios 190 sq. 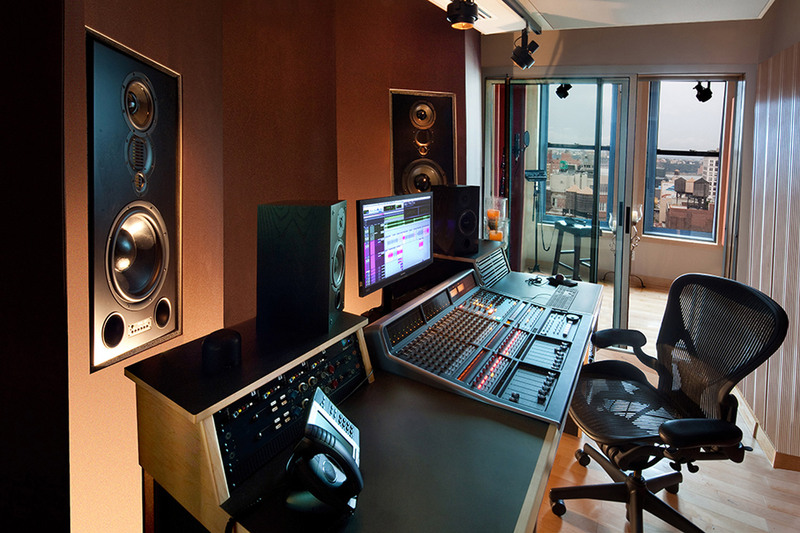 ft. Control Room A is outfitted with an SSL Duality SE 24 Input Analog Console, Apple Logic Pro Studio, Avid Digidesign HD3, Augspurger Custom Main Monitors and a wide range of outboard gear. It also features feature a 230 Sq. 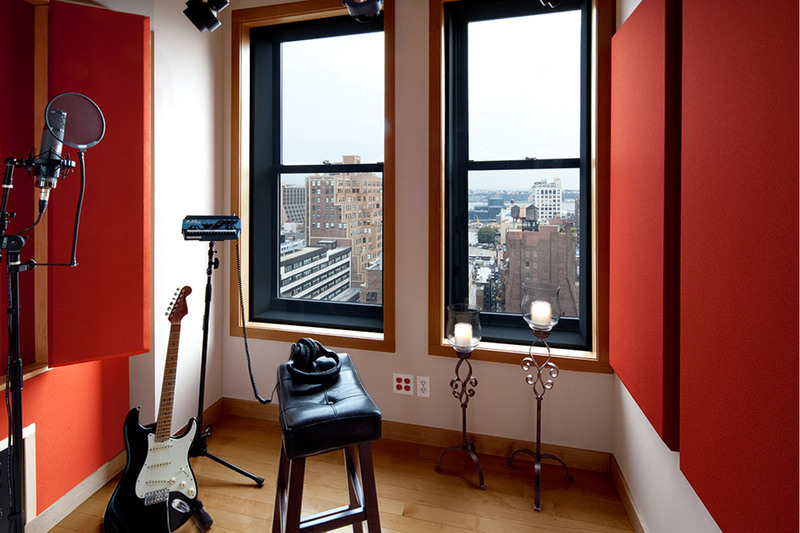 ft. Live Room. The 150 sq. ft. 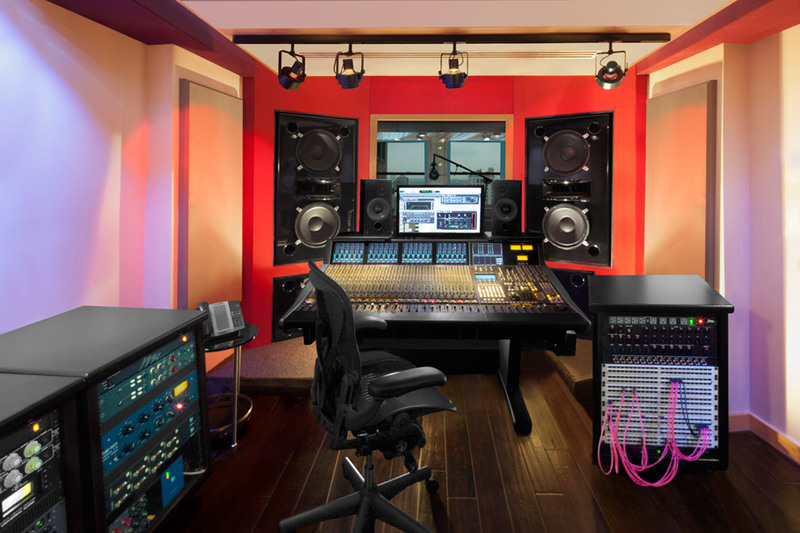 Studio B Control Room boasts an SSL Matrix console, Adams S5X-V speakers and a 60 sq. ft. sound booth. Both studios abut a spacious 600 sq. 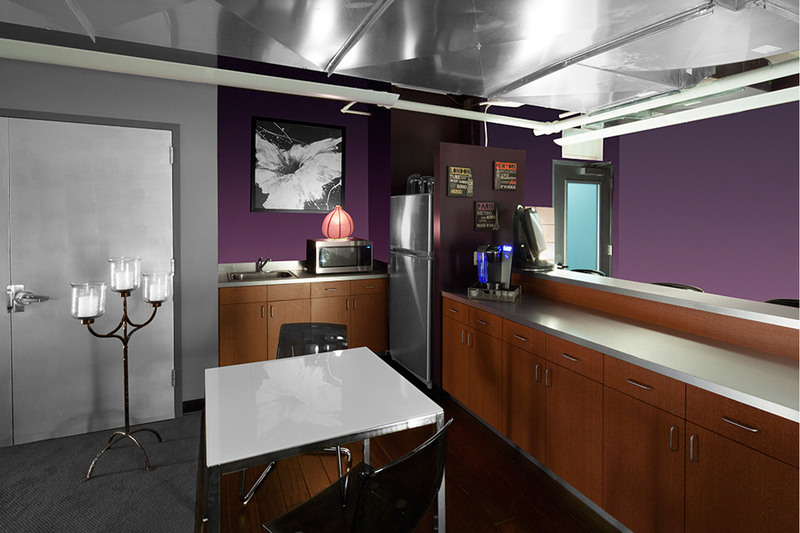 ft. + common lounge area, designed to afford luxurious break space for artists and clients. WSDG oversaw every element of the design and construction and performed a full system calibration. 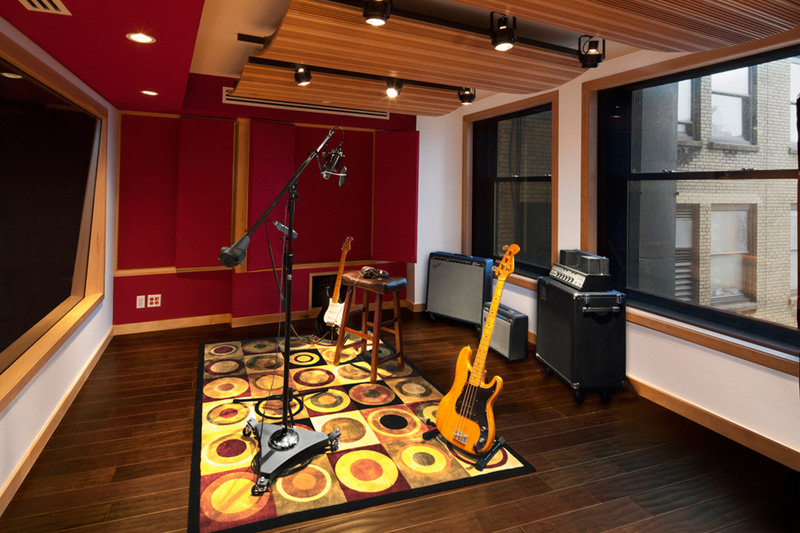 A precise room-tuning program of surface applied acoustic treatments, including fabric wrapped panels, custom, Flutterfree diffusers and low frequency absorbers, enable the rooms to act and sound like much larger studios. 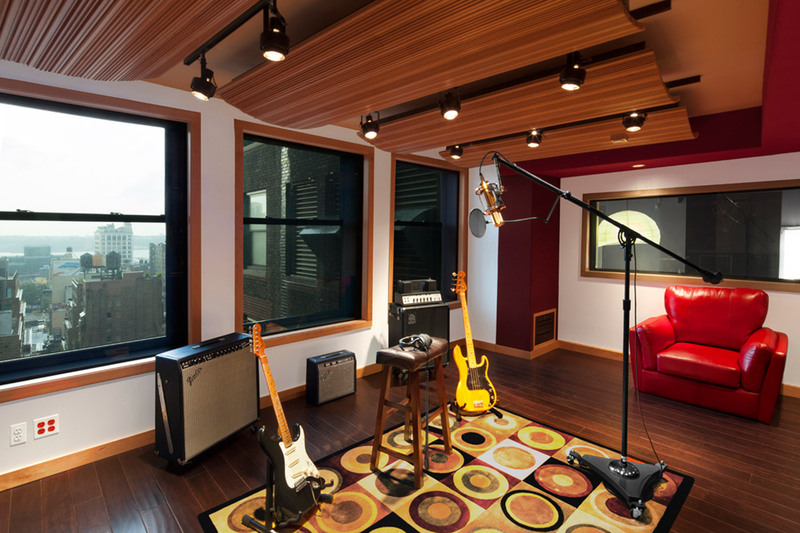 Sufficient ceiling height permitted floating floor and full room-within- room construction, freeing the creative team to crank up the volume without imposing on their neighbors. River views and extraordinary sunsets are another decided plus for this handsome and multi-faceted studio.